Takayuki Terykina, Yoshihito Naito, Tatsuaki Tagami, Yoshinori Morikawa, Yoko Henmi, Widyasri Pranangrum, Tetsuo Ichikawa, Tetsuya Ozeki: The effect of the release behavior of simvastatin from different PLGA particles on bone regeneration in vivo: Comparison of simvastatin-loaded PLGA microspheres and nanospheres. Journal of Drag Delivery Science and Technology 33(2016)136-142, 2016. Johansson P, Jimbo R, Naito Y, Kjellin P, Currie F, Wennerberg A.: Polyether ether ketone implants achieve increased bone fusion when coated with nano-sized hydroxyapatite: A histomorphometric study in rabbit bone. Int J Nanomedicine. 2016 Apr 6;11:1435-42. Prananingrum W, Tomotake Y, Naito Y, Bae J, Sekine K, Hamada K, Ichikawa T.: Application of porous titanium in prosthesis production using a moldless process: Evaluation of physical and mechanical properties with various particle sizes, shapes, and mixing ratios. J Mech Behav Biomed Mater. 2016 Aug;61:581-9. Galli S, Jimbo R, Naito Y, Berner S, Dard M, Wennerberg A.: Chemically modified titanium-zirconium implants in comparison with commercially pure titanium controls stimulate the early molecular pathways of bone healing. Clin Oral Implants Res. 2016 Aug 16. Higaki N, Goto T, Ichikawa T.: Periodontal tactile input activates the prefrontal cortex. Kurahashi K, Matsuda T, Goto T, Ishida Y, Ito T, Ichikawa T.: Duplication of complete dentures using general-purpose handheld optical scanner and 3-dimensional printer: Introduction and clinical considerations. J Prosthodont Res. 2017 Jan;61(1):81-86. Takashi Matsuda, Takaharu Goto, Kosuke Kurahashi, Toshiya Kashiwabara, Tetsuo Ichikawa. 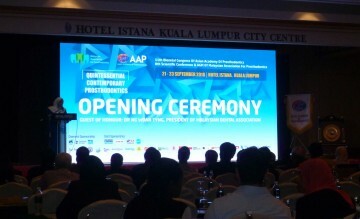 : Development of a digital impression procedure using photogrammetry for complete denture fabrication. International Journal of Computerized Dentistry . 2016;19(3):193-202. 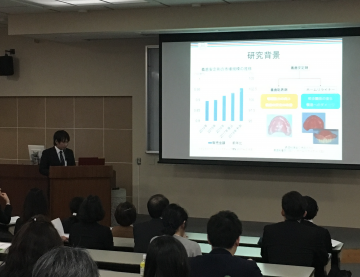 Tsuyoshi Honda, Keiko Fujimoto, Takuro Baba, Kan Nagao, Akira Takahashi, Tetsuo Ichikawa: Swallowing sound waveform and its clinical significance: Evaluation using ultrasonography. Journal of Oral Health and Biosciences 28(1)：21-27　2015. Jimbo R, Naito Y, Galli S, Berner S, Dard M, Wennerberg A: Biomechanical and Histomorphometrical Evaluation of TiZr Alloy Implants: An in vivo Study in the Rabbit.Clin Implant Dent Relat Res. 2015 Oct;17 Suppl 2:e670-8. doi: 10.1111/cid.12305. Epub 2015 Apr 16. H Chen, Kazutomo Yagi, FR Almeida, BT Pliska and AA Lowe: A pilot study on the dentoalveolar and skeletal effects of two functional appliances in class 2, division 1 growing children.Int J Orthod Milwaukee., Vol.26, No.2, pp.15-20, 2015. Ashrin MN, Arakaki R, Yamada A, Kondo T, Kurosawa M, Kudo Y, Watanabe M, Ichikawa T, Hayashi Y, Ishimaru N. A critical role for thymic stromal lymphopoietin in nickel-induced allergy in mice. J Immunol. 2014 May 1;192(9):4025-31. Sapaar B, Nur A, Hirota K, Yumoto H, Murakami K, Amoh T, Matsuo T, Ichikawa T, Miyake Y. Effects of extracellular DNA from Candida albicans and pneumonia-related pathogens on Candida biofilm formation and hyphal transformation. J Appl Microbiol. 2014 Jun;116(6):1531-42. Naito Y, Jimbo R, Bryington MS, Vandeweghe S, Chrcanovic BR, Tovar N, Ichikawa T, Paulo G C, Wennerberg A. The influence of 1α.25-dihydroxyvitamin d3 coating on implant osseointegration in the rabbit tibia. J Oral Maxillofac Res. 2014 Oct 1;5(3):e3. Nakamichi A, Matsuyama M, Ichikawa T. Relationship between mouthful volume and number of chews in young Japanese females. Appetite. 2014 Dec;83:327-32. Megumi Watanabe, Naozumi Ishimaru, Meinar Nur Ashrin, Rieko Arakaki, Akiko Yamada, Tetsuo Ichikawa, Yoshio Hayashi．A Novel DC Therapy with Manipulation of MKK6 Gene on Nickel Allergy in Mice．PLoS ONE　6(4)E19017　2011.4. 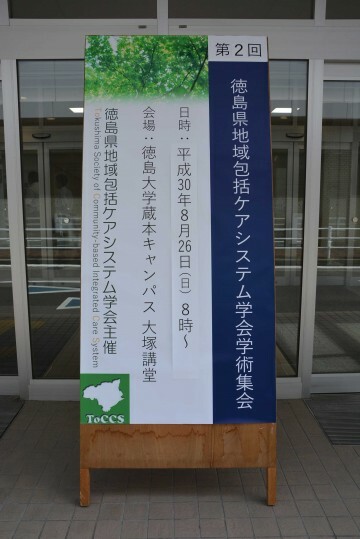 岡 謙次, 井上 三四郎, 河野 孝則, 市川 哲雄．二酸化チタン塗布エナメル質への青紫色半導体レーザー照射の影響，漂白効果について．日本補綴歯科学会誌　3(1):26-31，2011.1. Jian Rong Chen, Yoritoki Tomotake, Megumi Watanabe, Yuichi Ishida, Kan Nagao, Tetsuo Ichikawa．Telescopic Magnetic Attachment for Implant-Supported Denture: Evaluation of Splint Effect．The International Journal of Oral & Maxillofacial Implants　26(3)：657-664，2011. 松田　岳，後藤崇晴，柏原稔也，市川哲雄: 無歯顎補綴における咬合平面設定に関する文献考察. Journal of Oral Health and Biosciences 28(1)　13-19　2015. 永尾　寛: 歯科医から見た摂食嚥下障害へのアプローチ. BRAIN NURSING　31(12)：51-53　2015. 市川哲雄: 歯科用金属による金属アレルギーの臨床病態と補綴学的対応に関する多施設調査. 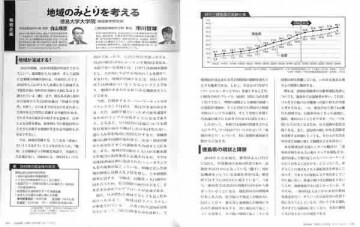 日本補綴歯科学会誌　7(3)：234-235　2015. 友竹偉則、田島登誉子、内藤禎人、清水裕次、山田幸夫、石田雄一、市川哲雄: 臨床研究報告　グラスファイバーで補強された高強度コンポジットレジンを用いた３ユニットブリッジ治療について. Journal of Oral Health and Biosciences 28(2):55-62　2016. 古谷野潔，市川哲雄，鱒見進一，水口俊介，村田比呂司．座談会１　超高齢社会で求められる義歯治療の指針．DENTAL Press ADVANCE denture special　2-7　2012.1. 水頭英樹：平成２５年度公益社団法人日本補綴歯科学会特定推進研究論文賞(2014.5.23)　Oral factors affecting titanium elution and corrosion: an in vitro study using simulated body fluid. 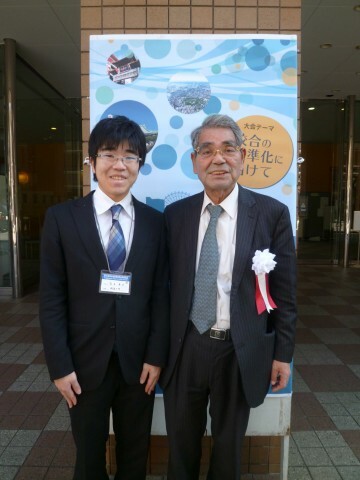 内藤禎人：平成25年度社団法人日本補綴歯科学会中堅優秀論文賞（2014.5.23）　Formability and mechanical properties of porous titanium produced by a moldless process.